Unified Communications (UC) is a way of integrating various communications tactics to help employees run an office, business or program. UC helps to improve productivity within businesses, better manage relationships with customers and employees, and increases overall office efficiency. This integration can empower someone who is instrumental in running an office smoothly, such as the office manager. Just for fun, let’s take a look at a few iconic examples of office managers. 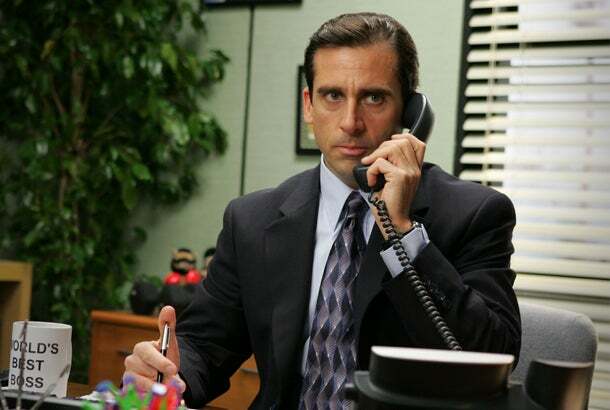 These over-the-top characters may not be the ideal office manager for your business, but they definitely set a memorable tone and culture in their fictional organizations. Lovable, loyal to a fault to his employees (except for HR), and always good for innovative, yet horribly misguided ideas or comments. He’s all about sticking to processes, regardless of whether they actually make sense or are effective in any way. He thinks he’s great at communicating with his employees, but we all know his employees actually fantasize about physically harming him. He is a bit distant, believes in a hands-off management style and just wants people to leave him alone. In fact, his very belief system about government leaves him to believe his own job is a complete waste of money. To do their jobs well, Michael, Bill, Ron and real-world office managers need to understand all the different roles in a company and be aware of how each of them work together. So what role does UC really play in the office manager’s work life? Presence: Integrating communications tasks gives each user the ability to update his or her status, like “in a meeting” or “at lunch.” An office manager is able to see what’s going on with employees and make adjustments to staffing levels and coverage, as necessary. Reporting: Both real-time and on-demand reports are available to ensure office goals are being met. Switchboard: The switchboard gives users visibility into the communications of the entire office. View who’s on the phone with whom, status information, real-time statistics and more on a single screen. 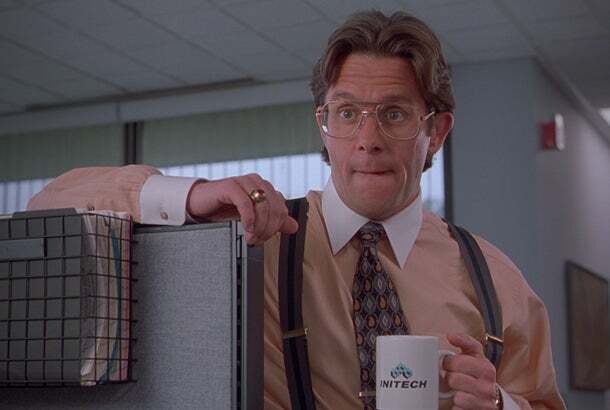 Lumbergh would use visibility features to know where his employees are without directly communicating with them and to increase the number of traditional reports he values, even if they are counterproductive. Training – Office managers need a way to ensure the level of customer service they expect from their staff is actually happening in day-to-day calls. Monitor/Whisper/Barge: For training purposes, monitor allows managers to silently listen in to a call; whisper gives them the ability to not only listen, but provide real-time feedback by talking to their employee without the customer hearing. If an employee needs supervisory help on a call, the manager can barge and become part of that call with a click of a button. Call recording: Managers are busy and oftentimes can’t listen to live calls. Call recording provides another way to ensure high-quality performance from employees. Calls can be recorded on the fly, or scheduled and automatically recorded. 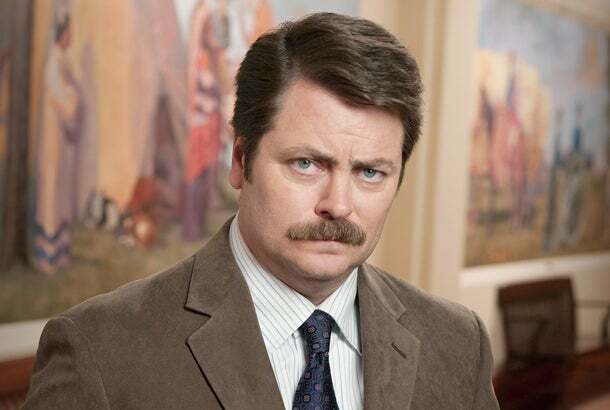 Swanson likes to fish, hunt and be away from the office, so call recording would be quite handy for him to monitor his employees’ phone calls without having to be in the office during the time of the call. Customer experience: Office managers can help to deliver superior customer service. Mobility: Powerful mobility features allow staff to stay in contact with customers from anywhere. Make, receive, transfer and record right from your smartphone. Messaging: Office managers can control messaging and the call flow through a very simple interface. Now, if the office delays opening because of weather, you can make your customers aware with a few easy clicks. Call routing: In the past, calls came to specific people, and if those people weren’t available, the customer was out of luck, or at best, got to leave a message. With easy-to-configure call routing, customers are able to reach the correct people, even if the first choice is on the phone. Being able to be in constant contact with his employees through these messaging and calling features would be ideal for Scott. He may not know how to properly tell someone to call him “ASAP,” but he believes they are his best friends, so Scott would definitely take advantage of these features to stay connected with them both in and out of the office. This is just the beginning of the benefits of UC for the office manager, and providing a variety of tools to help them carry out their role will lead to a smoother, more successfully run office and company as a whole.